Advertising – Be careful that if there are ads, that they are appropriate for your students. Log-Ins – Can you set up a class login, generic login, or must all students have their own? Be clear on what is required by the site and have that established before your students try to use it. Save/Share – Is there some feature that allows students to share their work with you and others? COPPA Compliant - Review COPPA regulations on all sites to determine if students under 13 years old should be accessing the site. Digital Public Library - Wealth of resources for research and projects. DigitWhiz - a foundational math program for students ages 8+ using adaptive games. Aligned to CCSS, provides reports to parents and teachers. iPad app now available! Google Doc Research Feature – Highlight a term in your document and instantly access a web search and citation. Membean - Comprehensive web-based vocabulary program that provides individualized instruction to students. NoRedInk – Customizable grammar practice site that teachers can manage. Teacher dashboard monitors progress. Numberphile - Video collections on numbers, math laws, and other number related concepts. ReadWriteThink: Many different interactive student tools to help students learn about language, organize their thoughts, show creativity, practice critical thinking, and much more. VocabAhead – Great vocabulary resource – web-based and apps (see below). DigitWhiz - a foundational math program for students ages 8+ using adaptive games. Aligned to CCSS, provides reports to parents and teachers. Field Day - Project-based learning think and do tool. Great app to get students' PBL work organized. Tap To Learn – Very fun grammar practice games for iPad and Android devices. VocabAhead – Vocabulary practice site for both iOS and Android, with lots of options and quizzes. National Library of Virtual Manipulatives - 'Compilation' site with categories for Algebra, Measurement, Operations, Geometry, etc., divided by grade. Selecting a 'category' presents a page with MANY online tools for practice, visuals, and more. National Science Digital Library – Common Core aligned Math and Science resources. VERY popular site. Next Generation Science Standards - Just released; in review phase as of 4/2013. 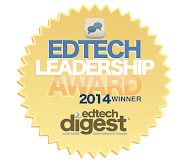 Next Vista for Learning - 1000's of student and teacher created videos, and fun contests. Opus – Math practice problem bank that is aligned to the CCSS. Teachers can search for problems by grade level and subject area. Scholastic's Tax Basics for Middle Schoolers - Collection of cross-curricular lessons on money management for junior high. Share My Lesson - OER resource with lessons linked to specific CCSS. Skype in the Classroom - Hundreds of opportunities to take your students outside of the four walls and engage with the world. Symbaloo - Use tiles to organize all your online resources, then share with students and colleagues. Teaching Channel – Many videos on a variety of topics, from classroom lessons on Common Core aligned topics, to professional development, classroom management, etc. 5 Search Tools for Android Education Apps - Detailed look at five of the best tools to find Android apps. Board Cam – Document camera alternative for your iPad, with presentation, annotation and recording capabilities. Mastery Connect – Access the Common Core on your iOS and Android devices. Can search by grade level and subject area. Also see Sites We Like. There is a new tool free to teachers that comes with year-long exemplar CCSS plans fully populated with lessons aligned to daily learning targets unpacked from the year-end standards. Each lesson includes an "I can" statement, activity suggestions, links to the best free OER's, and instructional notes - all aligned with the daily learning target. Teachers can try it for free at mte.metrialearning.org. Check it out! Evernote and most google tools are my main go-to apps. Great list here though, will have to forward this to my other colleagues at the school. I think organization is the key to success as a teacher.